This week Google announced that Google Earth can now be integrated into your school's G Suite for Education services. Which means that your students can use their G Suite account credentials to use the web version of Google Earth. The newer web version of Google Earth can be used on a Chromebook. 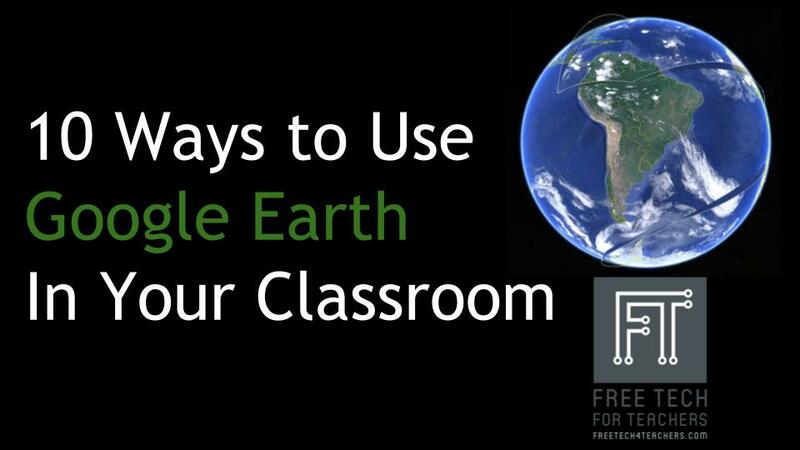 In the PDF embedded below I provide ideas and links to directions for ten things your students can do with Google Earth. (Click here if you cannot see the embedded PDF). Join me in July for Teaching History With Technology to learn how to use Google Earth and many other tools in your social studies lessons.